Eighty minutes of Total Silence. 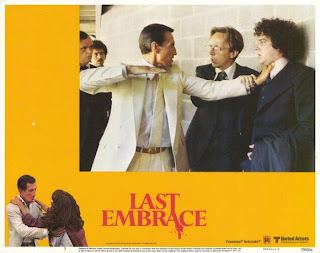 Of the handful of Jonathan Demme films sadly not available on DVD, none are in more need of a release than his terrific 1979 thriller Last Embrace. I just recently got to see the film, and was really impressed by it and found everything from Demme’s controlled and inventive direction to Roy Scheider’s near career best performance to be just revelatory. 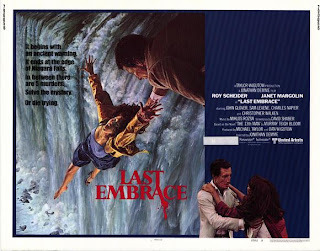 Featuring the beautiful color photography of Tak Fujimoto and an evocative score by Miklos Rozsa, Last Embrace is yet another one of those masterful lost seventies classics that is deserving of a much wider audience than it has ever been granted. Since I just finally got the opportunity to watch this film for the first time, I will not attempt any sort of real post. Consider these posters and lobby cards just a reminder that a Region 1 DVD is really needed. Currently only available on DVD in Europe, Go Go Tales (2007), Abel Ferrara's stunning updating of John Cassavetes The Killing of a Chinese Bookie is arguably the great maverick director's finest film since The Addiction (1995). Featuring one of the great ensemble casts of the decade (Willem Dafoe, Asia Argento, Bob Hoskins, Matthew Modine, Sylvia Miles, Burt Young, Lou Doillon, and an extraordinary Stefania Rocca), Ferrara's caustic black comedy stands among his greatest and most humane works. Its current absence in the States is a slap in the face to one of our greatest and most daring filmmakers. 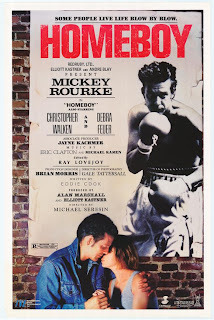 One of the most fascinating chapters of Mickey Rourke’s career is the little seen 1988 drama Homeboy, a film directed by Michael Seresin and written by Rourke himself under the alias of Sir Eddie Cook. The film, seeming like a prelude to Rourke’s celebrated work as The Wrestler twenty years later, has always been deserving of a larger audience and a DVD is long overdue. Centering on the struggles of an aging boxer named Johnny Walker, Homeboy is less a typical sports film and is more than anything else an intensive character study of a guy just past his prime. While the film does feature some incredible fight sequences, the heart of the work comes with Rourke’s largely silent and haunting performance, one that stands among his greatest. Homeboy remains the only directorial credit for New Zealand born Cinematographer Seresin. Known for photographing films as diverse as Adrien Lyne’s stunning Foxes (1980) and Alfonso Cuaron’s terrific Harry Potter chapter, Seresin first met Rourke when he provided the moody cinematography to Alan Parker’s Angel Heart in 1987. While there has been some controversy concerning Seresin’s work on Homeboy, the film is in fact a very successful first feature. Shot mostly in and around New Jersey’s Asbury Park, Homeboy is quite a fascinating little film that is most noteworthy for Rourke’s insightful script that really succeeds as an intelligent and probing character study. Rourke’s script is especially intriguing in the way that it approaches the relationship between Walker and the character of small time thief Wesley Pendergrass, played with a ferocious freshness by Christopher Walken. There are many instances where the film looks like it might steer straight into cliché but it turns the opposite corner each time, a fact that makes it one of the most refreshing ‘boxing’ films ever shot. Becoming more and more disillusioned with Hollywood by the time he shot Homeboy, Rourke was at this point clearly trying to surround himself with people he trusted. 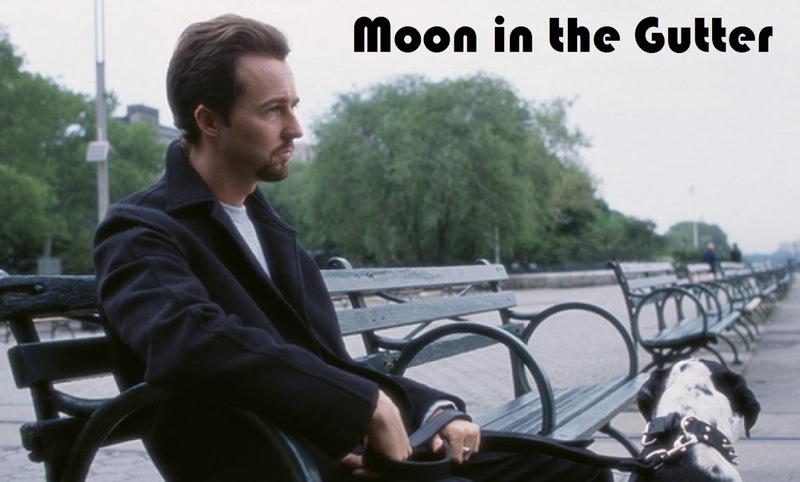 He had been friends with Walken since their days at the Actors Studio in the seventies (plus they had both appeared in Cimino’s masterful Heaven’s Gate eight years before) and Homeboy’s romantic interest is played by none other than Rourke’s wife at the time, talented Debra Feuer who does the best screen work of her career here. 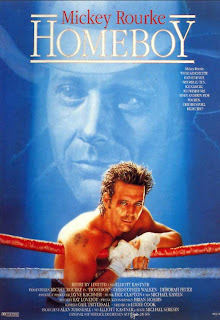 There is something extremely knowing and incredibly honest about Homeboy, and I suspect that it’s failure to find an audience back in 1988 hurt Mickey Rourke as much anything else had in his career up to that point. 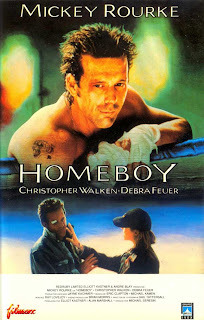 Featuring a lovely score courtesy of Eric Clapton and Michael Kamen (the soundtrack is a real winner) Homeboy is such a genuine film that it is easy to look past some of its faults. Overlong and not paced very well, the film could have benefited from some tightening. Despite some minor issues though, Homeboy stands as one of the best films from one of American films worst periods. Homeboy never got a proper theatrical release. 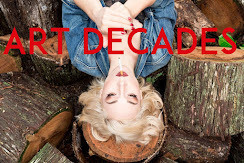 After playing in Europe for a brief period in late 1988, it was dumped unceremoniously on VHS in 1989. Barely getting any critical or popular attention at all, Mickey Rourke’s most personal project up to that point was barely seen and it's currently only avalaible in Europe, on a full frame DVD that is just barely an improvement on the original VHS. Mickey Rourke has written two other films as Sir Eddie Cook, but neither F.T.W. (1994) nor Bullet (1996) contain the emotional impact that Homeboy does. Homeboy, despite being a great film in its own right, can now be viewed as a fascinating warm-up for The Wrestler, a film that it has a lot in common with. Perhaps a decent DVD will eventually appear, as both the film and Mickey Rourke deserve it. With the recent releases of Door Into Darkness and Four Flies on Grey Velvet, the filmography of Dario Argento is almost completely represented on Region 1 DVD. 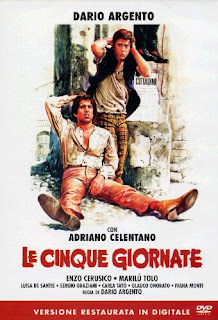 The one holdout remains Argento’s most peculiar production, 1973’ Le Cinque Giornate. Known as The Five Days of Milan, Argento’s odd political comedy was made as a response to the failure of both Cat O Nine Tails and Four Flies on Grey Velvet to live up artistically to his stunning 1969 debut, The Bird With The Crystal Plumage. Argento was also fearful of being pigeonholed in the Giallo genre, and a complete change of pace seemed the best way to go for the 33 year old writer and director. Based on a story by Argento and Luigi Cozzi, The Five Days of Milan was shot in and around Rome and Milan in the middle part of 1973. Alan Jones reports in his wonderful Profondo Argento that the film was supposed to have been shot earlier with Veruschka as the female lead, but scheduling conflicts made that impossible. It worked out in the film’s favor though as Marilu Tolo, Argento’s girlfriend at the time, turned out to be one of the film’s chief pleasures. Joining Tolo in the cast is Italian singer Adriano Celentano and Enzo Cerusico, neither whom impress much here. The Five Days of Milan is a bit of a mess and is easily the worst production Argento mounted in the seventies, but its ambition and the fact that it represented such a major change for the director mark it as a noteworthy production. It’s a nice looking film as well thanks to the costuming of Elena Manninni and the cinematography of Luigi Kuveiller, who shot the stunning Paul Morrissey/Antonio Margheriti directed Flesh For Frankenstein the same year. 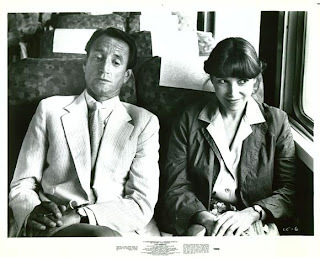 Argento himself summed up the film’s biggest problems to Jones when he said, “I wasn’t certain I was ready for an historical comedy”, and that shows as the work suffers from the most unconfident direction Argento has ever lent to a film. It never gels and it just feels slightly vacant. Argento’s memory of it as, “a strangely awkward little film” is about the most dead on critical response I can imagine. While it fails as both a response to the Paris student riots of 1968 and as a return to the work Argento had done of Sergio Leone’s masterful Once Upon a Time in the West, The Five Days of Milan is worth at least a look for fans of Argento and Italian Cinema in general. It might very well be the most Italian specific film Argento ever shot, a fact that makes its unavailability to English language terroties perhaps a bit more understandable. The Five Days of Milan failed to captivate either critics or audiences when it premiered in Italy just before Christmas of 1973. Argento realized he had made a mistake and perhaps The Five Days of Milan’s greatest legacy is that its failure would inspire one of Argento’s most important productions Deep Red, a flat out masterpiece. The Five Days of Milan is clearly the, “abberation in Argento’s genre career”, that Alan Jones called it, but it’s deserving of a DVD release so English language viewers can make up their own mind about it. Currently only available in Europe, The Five Days of Milan is now the one empty space in many of our Argento collections. "Wild River is a high point for Kazan and for American cinema." The amount of Classic Hollywood films currently missing in action on DVD is absolutely appalling. The amount is so massive that an entire blog could be built around the subject, and it could be updated on a daily basis for many years. I didn't want to let the month go by without at least mentioning one vintage favorite I would like to see on DVD. Susan Lenox: Her Fall and Rise might seem an odd choice, and I suppose it is, but it's a personal favorite. 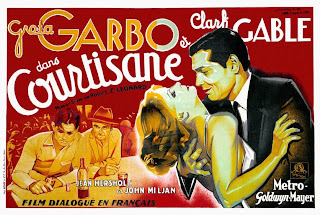 Every film Greta Garbo ever appeared in should be readily available on DVD for generation after generation to see. Sadly, only a handful are currently on the market. Susan Lenox: Her Fall and Rise isn't one of her greatest films, but it is one of her most interesting and her work opposite Clark Gable is the stuff of legend. One of my most vivid theatrical memories occurred in the spring of 1982, when my Mom took me to a local Henderson, KY theater to see a film that had just opened up about a killer great white shark terrorizing a small coastal community. 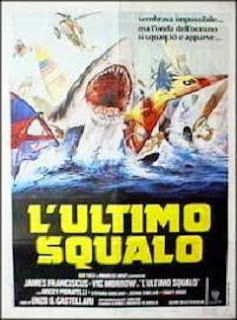 It wasn’t Jaws 2, nor was it a re-release of Spielberg’s beloved classic, this was Enzo G. Castellari’s L’Ultimo Squalo or, as it was titled that day, Great White. I didn’t know that day that I was having my first ever taste of the Euro-Cult films that would occupy such a large part of my life later, nor did I know how fortunate I was to see the film in a theater. All I knew was that I was having a blast witnessing 90 minutes of the most simultaneously surreal and similar film my nine year old eyes had seen up to that point. The controversy surrounding Great White is more known than the film itself. Castellari’s film wasn’t the first or last Jaws ‘rip-off’ film, but it was the one that got Universal panicked enough to sue and have it pulled from distribution. 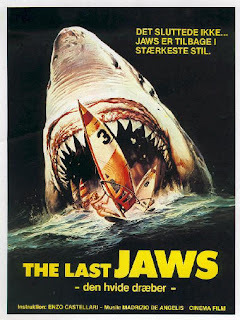 Part of this was because it lifted heavily from both Spielberg’s classic and its much maligned more sequel than any other film had, and part of it was due to the fact that Jaws 3 was just around the corner and Great White was showing big numbers in its brief theatrical run. There is something else though about Great White that no doubt bugged Universal, namely that it is a damn entertaining film and is much more successful than any sequel to Jaws that Universal had or would ever come up with. I was once called crazy by a friend for saying that in a way I preferred Great White over Jaws. Now, obviously Spielberg’s film is a classic and is a better piece of work than Castellari’s low budget take on it. 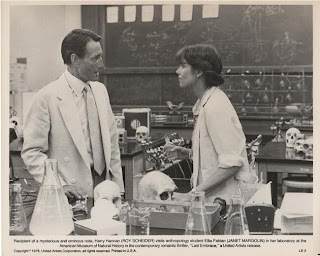 What I meant by the statement was that I felt more connected to Enzo’s production, because of my memories of it, and also the fact that I absolutely adore these Italian takes on American films that filled theaters throughout the sixties, seventies and eighties. Great White is the meat and potatoes version of Jaws. It’s Spielberg’s film stripped of all the philosophy, great acting and sharp storytelling. In other words, Great White is the lean and biting piece of entertainment that Jaws 2 should have been, and I suspect this rubbed some folks at Universal the wrong way. Great White just existed in my memories up until a couple of years back when I found a bootleg copy at a collector’s convention. My renewed time with the film left me disappointed though, and it didn’t live up to my memories at all. This changed though last year when I got a copy of the Swedish DVD of it. This uncut, widescreen print of the film allowed me to fall in love with Great White all over again and I have watched it several times since. The great Castellari has certainly made better films than Great White, but the film is one of his most enjoyable works. Featuring an odd, but effective, score from the iconic De Angelis Brothers, photography from Shock cinematographer Alberto Spagnoli and a cast including James Franciscus and Vic Morrow, Great White rolls along for 90 infectiously silly minutes at a breezy pace and it never comes close to outstaying its welcome. It’s a fun ride where you get to see the shark a lot, something that no doubt endeared it to a lot of kids back in 1982. You would think all these years later that L’Ultimo Squalo could find its way to American DVD, but this doesn’t look to be happening anytime soon. A recent screening at The New Beverly Cinema was reportedly blocked by Universal, so Great White remains missing in action in America. I would love to see it resurface one day. Francesco Barilli's beautifully composed and exquisitely shot Il Profumo Della Signora in Nero (The Perfume of the Lady in Black) is arguably the greatest Italian Giallo currently missing on Region 1 DVD. This eerie and wonderfully strange production from 1974 features a haunting score from Nicola Piovani, the wonderfully evocative and colorful photography of Mario Masini, and perhaps the greatest performance American actress Mimsy Farmer ever delivered. Currently available on a terrific DVD from Italy's Raro Label, The Perfume of The Lady in Black has still yet to receive any kind of North American release. Pity, as it is a major work.